The Puerto Rican Constitution was ratified on March 3, 1952, approved by the U.S. Congress on July 3, 1952 and became effective July 25, 1952. 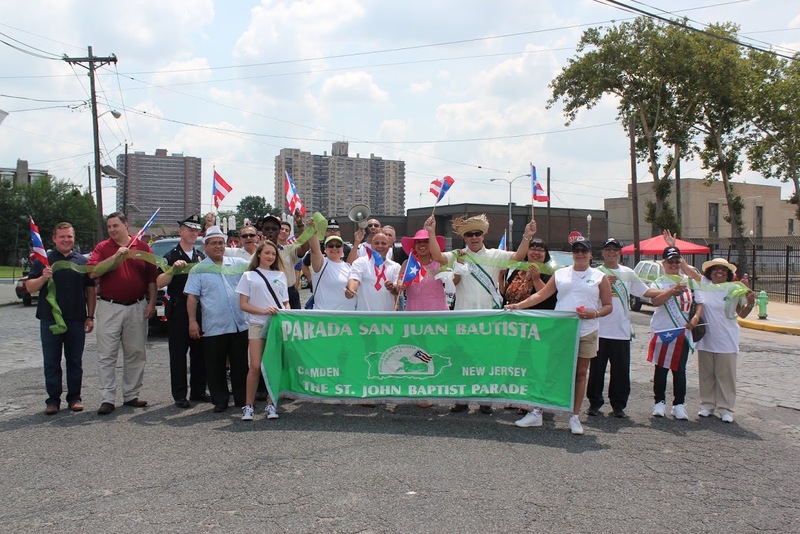 To commemorate this date, the Parada San Juan Bautista, Inc. hosts a Flag Raising Ceremony every year in Camden, New Jersey at Roosevelt Plaza in front of City Hall. We need to convey to our youth the importance of our heritage and educate them in the importance of respecting our flag. 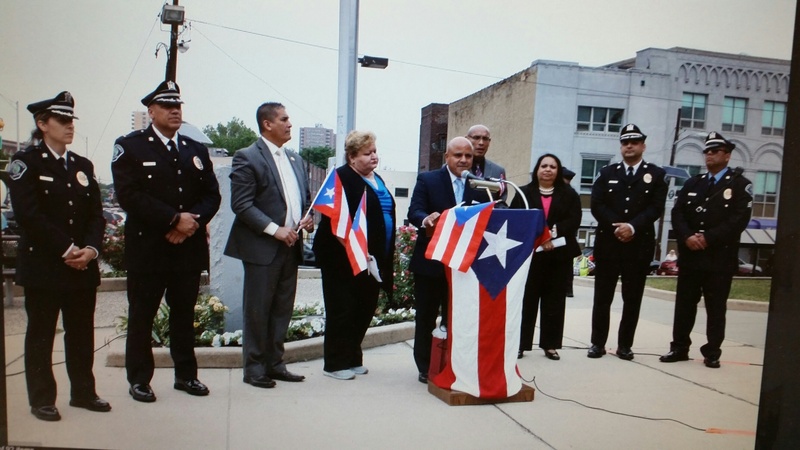 The Flag Raising Ceremony is an event of pride and honor for the Puerto Rican community. 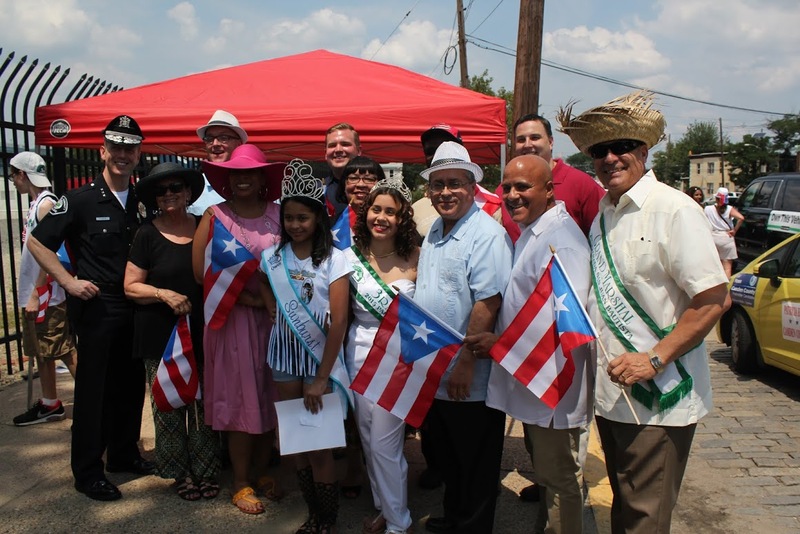 This event brings together community leaders, residents, business owners and government officials to celebrate the raising of the Puerto Rican flag as it is celebrated in Puerto Rico and in many other cities of the U.S. 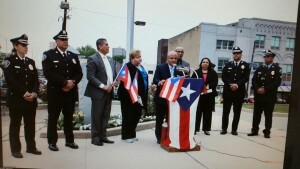 The Puerto Rican flag is flown during the entire month of June at Roosevelt Plaza next to the American flag. represent the victory and peace that they would have after gaining independence. The white star represented the island of Puerto Rico. The blue represents the sky and blue coastal waters. The triangle represents the three branches of government. When Puerto Rico became a Commonwealth in July 25, 1952, Governor Luis Muñoz Marín and his administration adopted the Puerto Rican flag which was originally designed in 1892, and proclaimed it the official national flag of Puerto Rico. 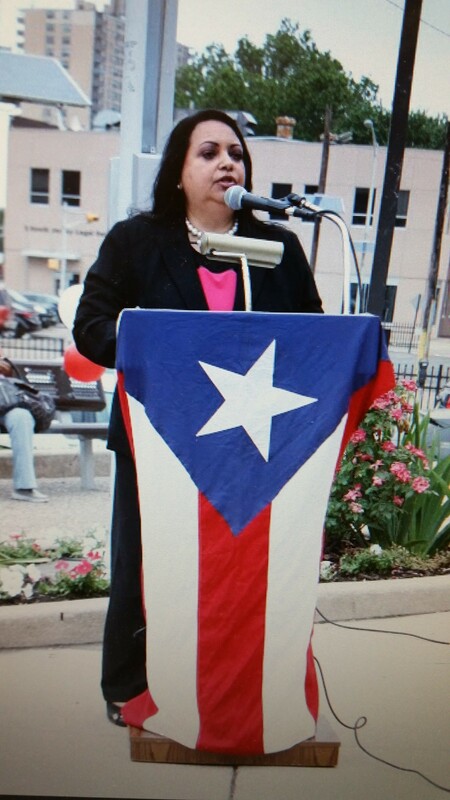 In 1952 the government of Puerto Rico approved a law establishing “La Borinqueña” as the official anthem of the Commonwealth of Puerto Rico. Ramón Collado made the necessary changes to convert the Danza into the march that we know today. The music was officially adopted by the government in 1952 and the words in 1977.